I sure do sympathize with all our good friends in the Northeast who are still digging out from the latest blizzard. Down here in the South, we’ve been blessed with some mild temperatures. 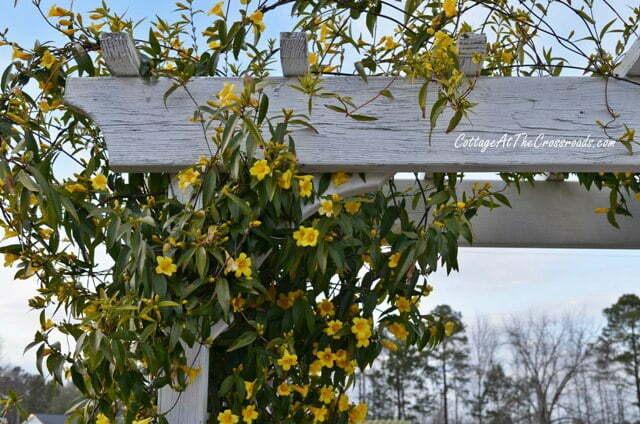 It has been warm enough here to start the yellow jessamine blooming that we planted last year on our garden arbor. 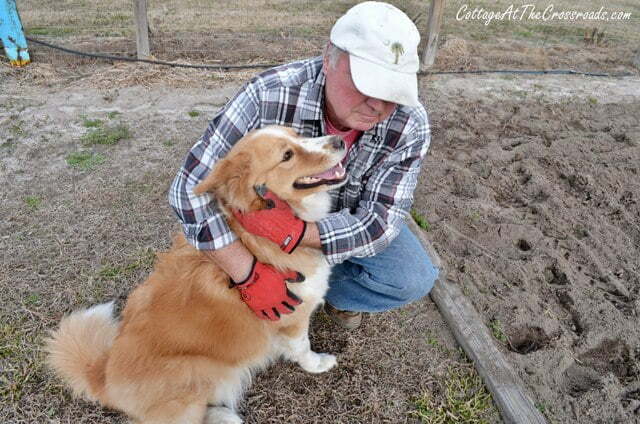 It’s also time for me to plant my potatoes. 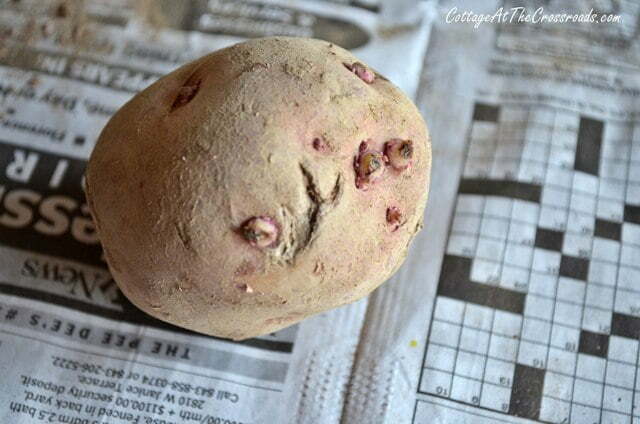 So I made a quick trip to my local feed and seed store and picked up 20 pounds of Red Pontiac potatoes. These are certified seed tubers which means they’ve been treated to resist blight and other diseases. 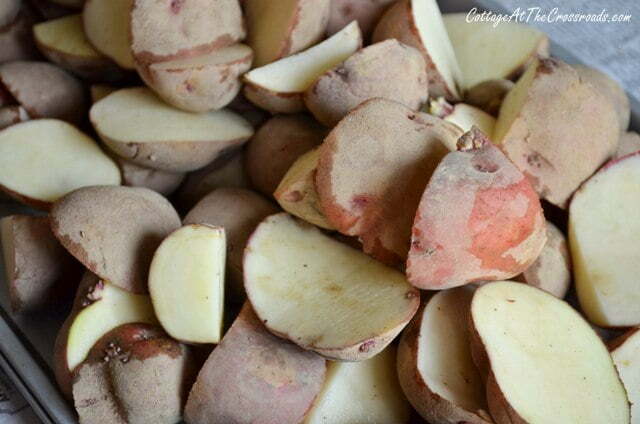 Potatoes are really easy to grow and if you’re thinking about planting your own, I recommend that you shop and get advice at your local feed and seed store. They will know what varieties grow best in your area. 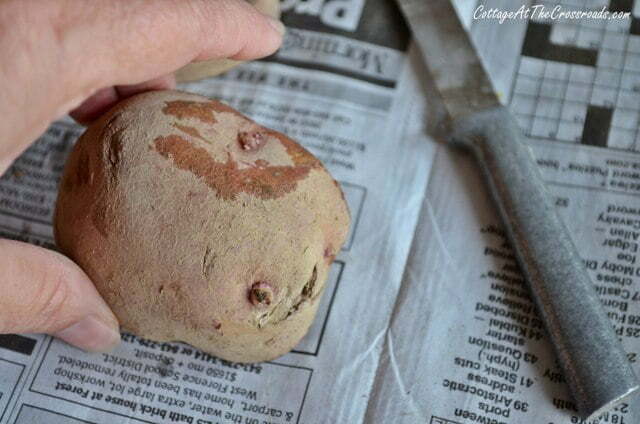 Don’t plant the whole potato. Use a paring knife to cut sections that contain at least 2 to 3 eyes. 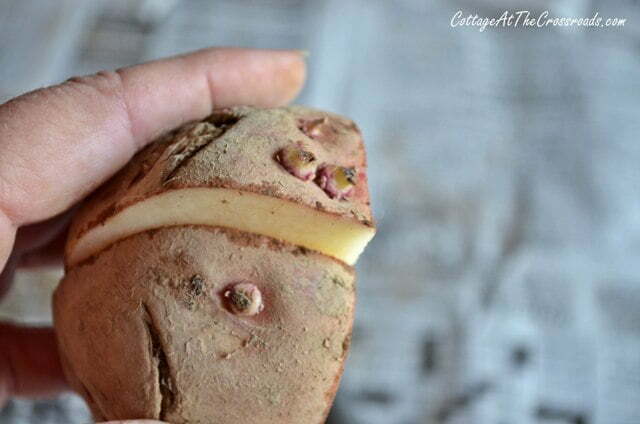 You can usually get 3 or 4 sections from one potato. Once they’re all cut, spread them out on newspaper and let them dry for a few days to allow the cut surfaces to heal. Meanwhile, back in the garden, I tilled an area large enough to run five 50 foot rows. 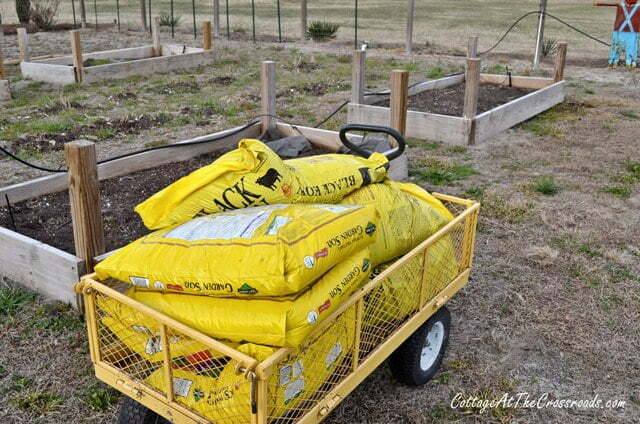 Prior to this, I had my soil tested and added the recommended 15-0-15 fertilizer. I planted the potatoes, cut side down, 3-5 inches deep and spaced them about 10-12 inches apart. This should be enough ‘taters to feed me and Jane and all our friends and family. A few days ago, I planted some onions in one of our raised beds. 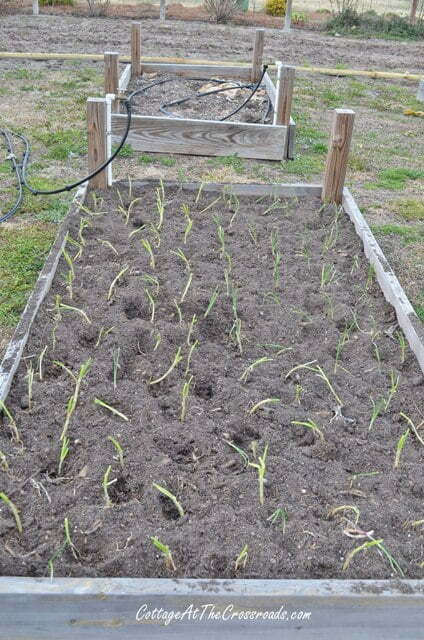 In just about 30 days, these will be ready to enjoy as spring onions. I love them on a salad! 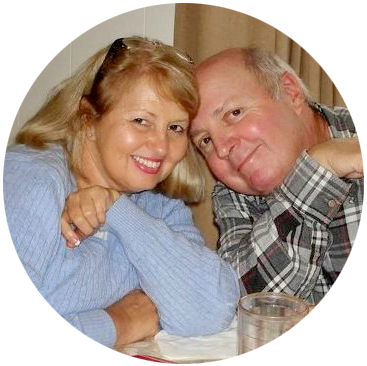 My brother Jim and his wife Jean have their own 2 raised beds in our garden. They freshened up the soil in their beds to get them ready for planting. To the right of this arbor, we’ve planted 5 rows of Early Alaska peas and Sugar Snap peas. If all goes well, in about 90 days, we’ll be enjoying Jane’s creamed garden peas and new potatoes recipe. It was great to get outside and get dirty again. Oh, you give me that “garden planting bug,” but we are still having very chilly weather — I know, crazy for AZ! We are hoping to get some planting done in another couple of weeks. I really like your rainbow of painted buckets. Great way to recycle those. Happy gardening, Leo! Thanks for all of these pics of your fence. We gotta do that to keep the deer and rabbits out. We love Cream 40 peas, but so do they!! and Sunflowers. I haven’t been able to have any for many years. Sweet pup! I am so happy to see you starting your garden…I would love to have a garden, but I just have to live vicariously through yours!….the yellow jasmine is so beautiful on the arbor…I have confederate jasmine that is not doing so great…I may need to switch it out that that gorgeous yellow!!…. I love yellow jessamine. I’ve admired it for years and really need to get some for my garden. I love looking at the tilled earth…so fresh and full of possibility! Can’t wait to see the potatoes. I’m planning to get outside these next couple of days and start tidying up my garden beds and planning for my backyard. So exciting! I LOVE this time of year. Aww Lucy is so cute!!! Good luck with your potatoes. Thankfully, the potato growing stage of my life is over now. So much work and the deer kept mowing down the tops every chance they got so the potatoes didn’t grow… sigh. Yum yum……love tators, onions and Peas!!! Just need a little cornbread! Leo, I don’t plant veggies but I do love plants and flowers. Can’t wait to get out there. It’s almost time here in the Dallas area. Hubby put in some early Alaska peas just a few days ago and they’re coming up now. 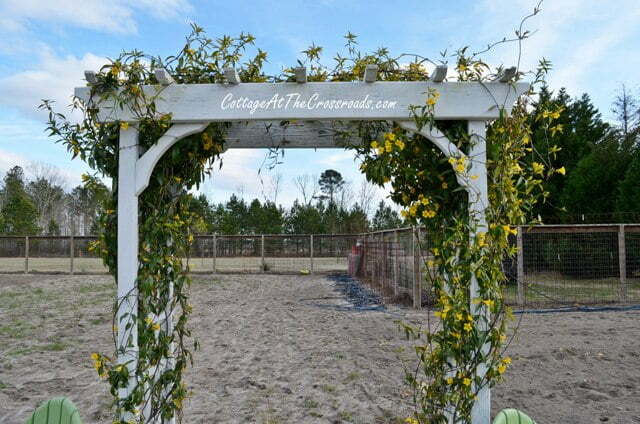 I love the yellow Jasmine and I have some in our yard as well. Beautiful bright yellow. We’re hoping to get in a few more raised beds this year. Love coming here to visit. 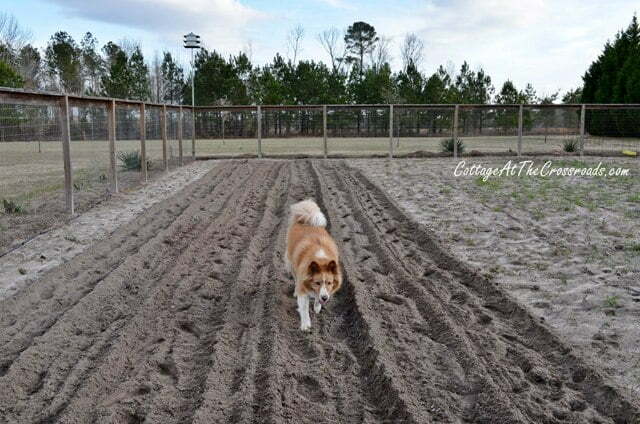 I have my potatoes, carrots and onions planted. I do have straw on top of them. It still cold at night here. I am so looking forward to getting back in my garden. Those are going to be so good! There is nothing like those new potatoes and onions fresh out of the garden. Good post. I believe I love Lucy! You could never have done it without Lucy’s help!